The captain of the ICC World XI team Faf du Plessis believes that the series between World XI and Pakistan is more than just a game of cricket. Talking to a private news channel, du Plessis said that it was great for him to be part of the iconic event in Pakistan. “The tour is about bringing international cricket to Pakistan. It is much more than just us visiting Pakistan. 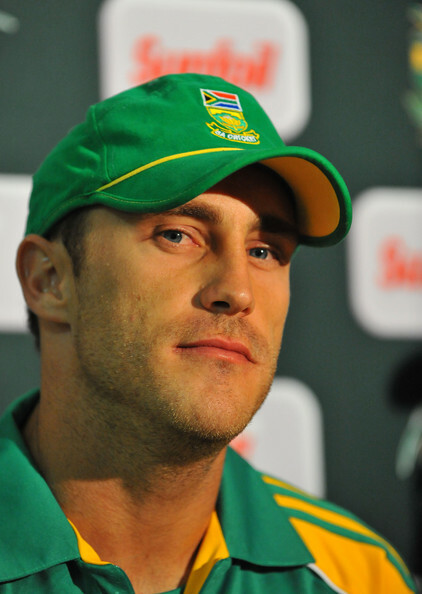 It is about Pakistan as a country and Pakistani cricket,” said du Plessis. The 33-year old batsman from South Africa said he toured Pakistan previously with South Africa’s U19 team to witness an empty stadium, but he expressed high hopes of seeing a full house during the upcoming series. He also hoped for a good contest between the two teams. “I am looking forward to a houseful and hoping that the World XI can give a tough time to Pakistan,” he said. “Teams playing the series understand that this is an iconic event for Pakistan cricket. It is about getting fans back to stadiums and we are going there to bring them (fans) back and that’s the most important thing,” he added.